Can you add the -clean and -mdebug options when launching Modelio ? 06:34:15,120 |-INFO in ch.qos.logback.classic.joran.action.ConfigurationAction - End of configuration. 06:34:48.619 INFO o.m.a.p.ui.ext - New project..
Last Edit: 5 years 5 months ago by Wayne-Riesterer. Unfortunately, this log doesn't contain usefull information to solve your problem. 2. 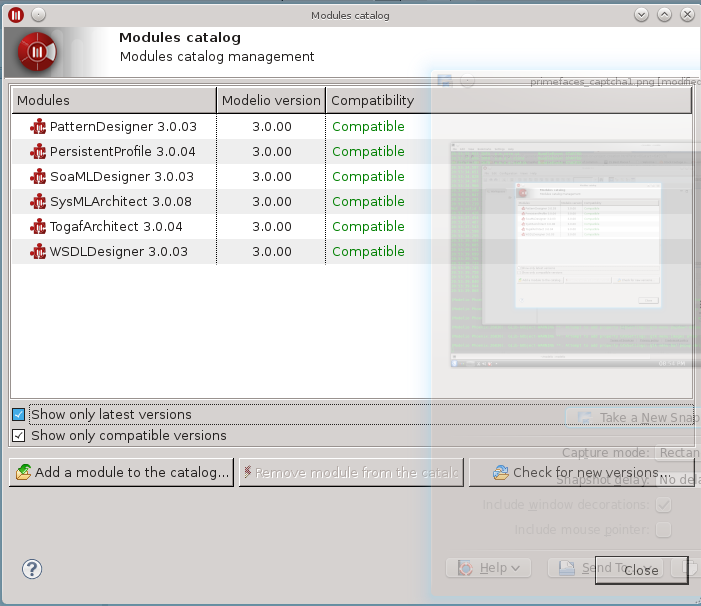 In the 'Configuration' menu, launch the 'Modules catalog' command. 3. Is the content of the catalog empty? If so, check that you have full rights on the '/home/USER/.modelio' directory. 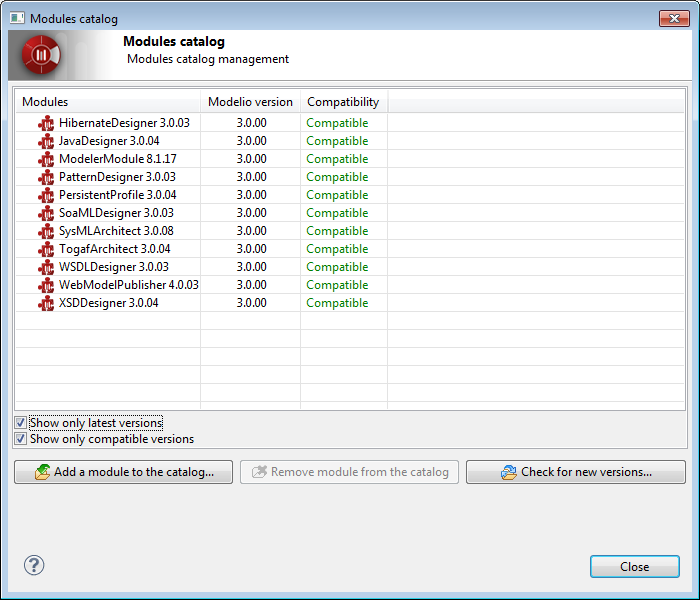 - Check that you have full rights on your Modelio installation directory. Yes, I have catalog entries. I have attached a screenshot. I also ran chmod 777 -R ./ on the modelio directory and still have the same problem. I'm running Kali Linux, where my account is "root" by default, so unless there is some unknown process locks, I should have the required access permissions. Is Modelio based on Eclipse? If so, or in any case, what are the primary start-up dependencies. Perhaps there are missing libraries or something...maybe. Anyway, I appreciate your persistence. Please let me know if there is anything out of the box that I can do to help out. Last Edit: 5 years 5 months ago by cde. Thanks so much for your time and patience. This did the trick. If there is anything that I can do for the project, please let me know. I'd be happy to help out in some way.